PhotoSync is an app that really everyone should own. It is so well designed with so many features and works exactly as advertised. So what does it do? Depending on what devices you have you install the respective mobile app. So if you own an android phone or tablet, head over to the Google Play store. If you own an iPhone or iPad head over to the Apple App Store. The iOS version costs £1.99. The android version is free with in app purchase of £0.99 to remove the banner ad. There is even a version for Kindle. If you own a mac there is a free companion app on the Apple Mac App Store. The same applies if you have a Windows PC. So once you have installed the software on your respective machines it now is as simple as ABC. 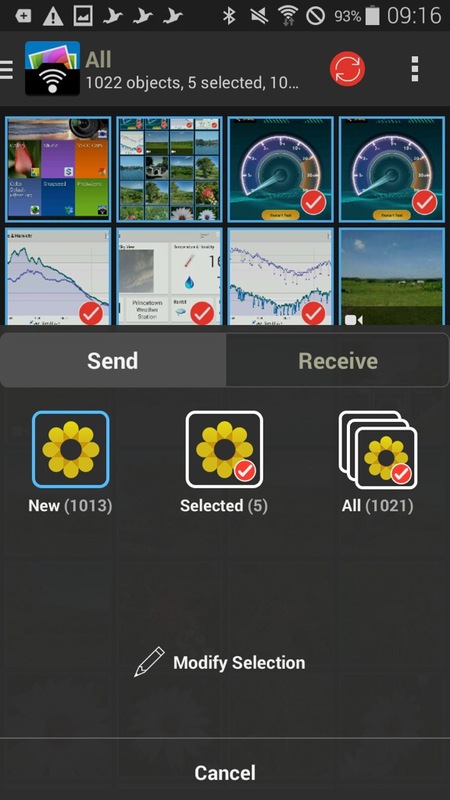 As an example, I have opened the app on my Samsung K Zoom and selected 4 photos. You can tap to select which ones you want to send, or press and hold to select a range. 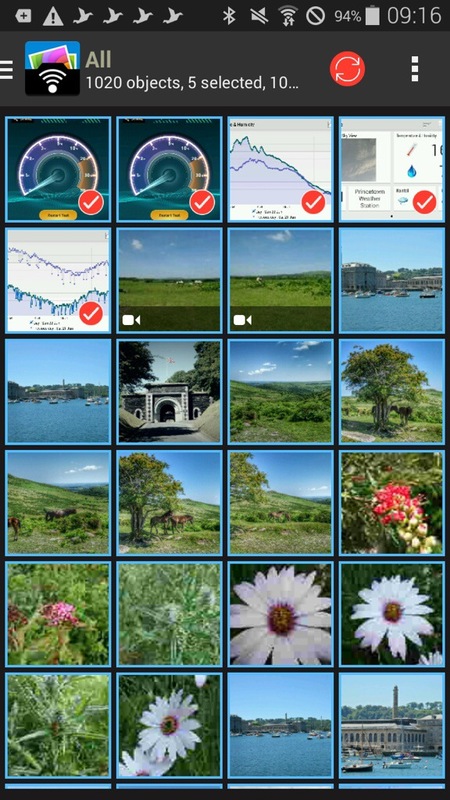 You can view your photos by all or albums on the K Zoom. Now open the iPad app. Now, tap the red sync icon top right on the K Zoom, confirm your selection and as quick as ABC the photos are sent on to the iPad. 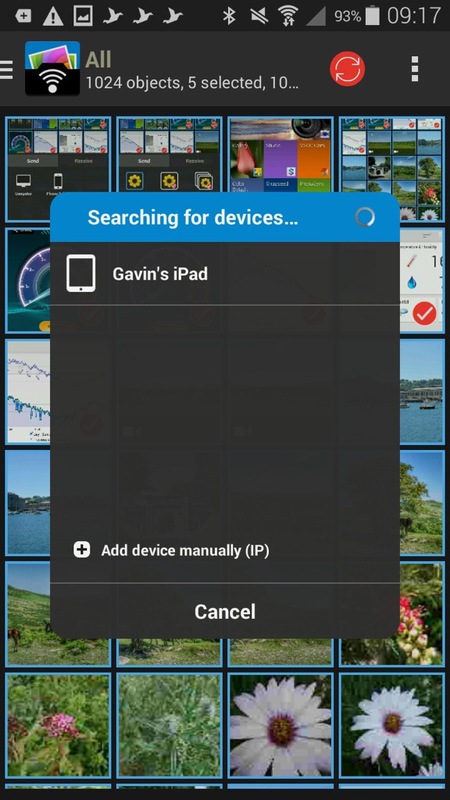 So what the above screen shots show is the process of moving 4 photos I selected from my android phone to my iPad. The order is slightly wrong, but I’m sure you can fathom out the correct order of the screen shots 😉 But you could move the photos, or receive, between any combination. What is also clever is that you can send the photos from say my Samsung Galaxy K Zoom to my mac. 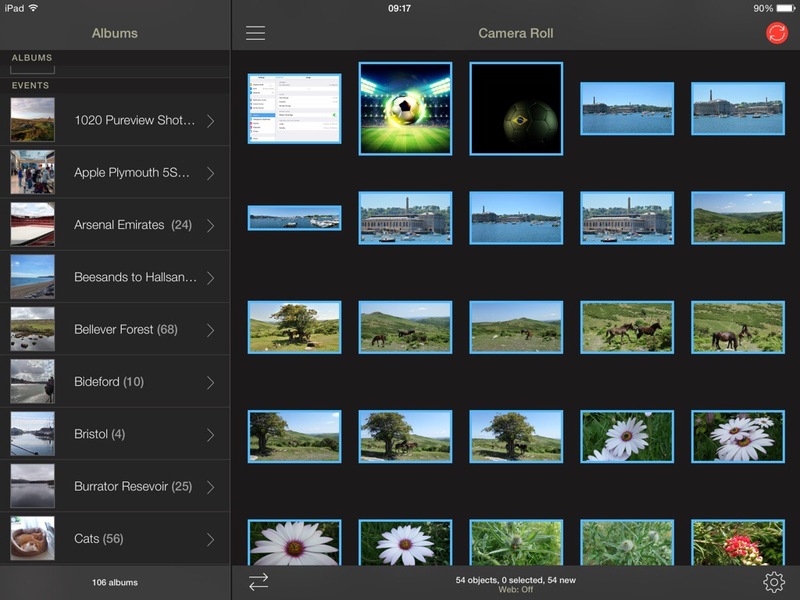 The photos can either go to a folder chosen by yourself, or end up directly in iPhoto or Aperture. Neat touch. And because it’s using wifi you can be downstairs and send the photos to your mac which can be located in another room. Within the app, the options and settings are extensive. 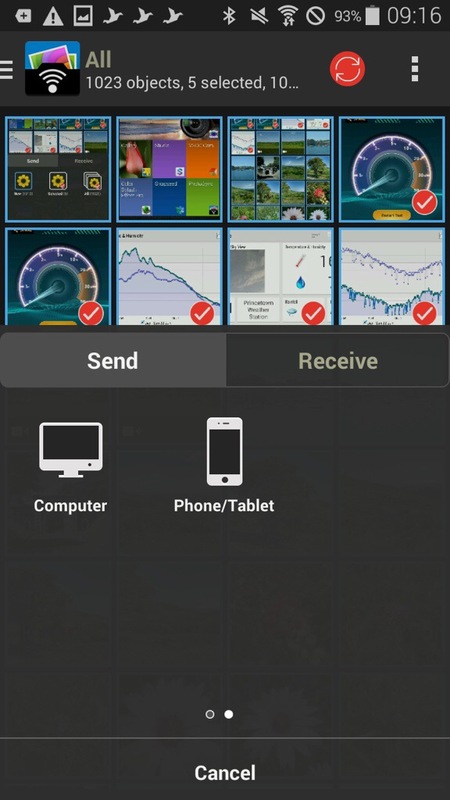 You have the option of using a web browser, personal hotspot, drag and drop, creating new albums, the app remembers which photos have already been transferred, raw photos also supported as well as video , meta data left intact, size of photo left untouched, transfer speeds of up to 5mb/sec and much more. The iOS app version has been around for longer so adds so extra functionality allowing transfer to and from cloud services like Dropbox, Flickr. Google+, Picasa, Facebook, SmugMug, Zenfolio, Box, 500px, OneDrive, Google Drive and Sugarsync. 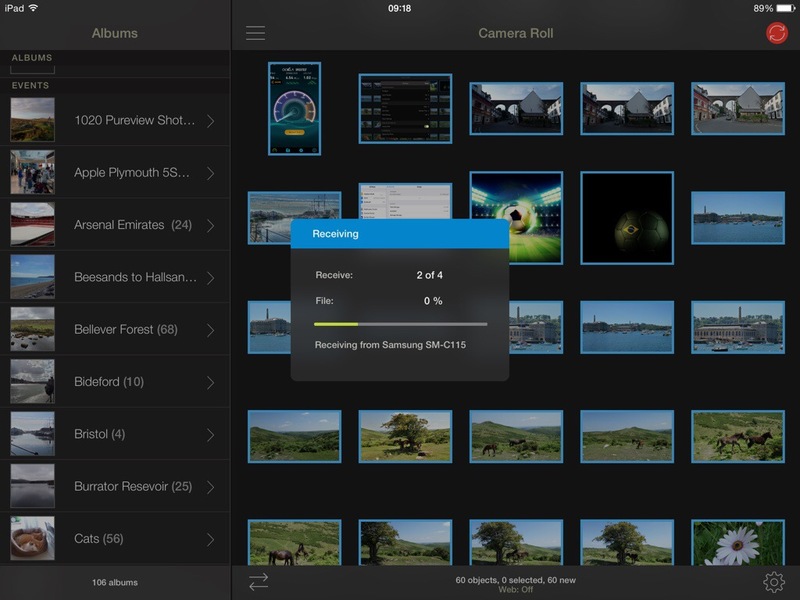 Backing up videos and photos over (S)FTP or WebDAV to NAS, mobile storage, or remote server. You can also use 3G or LTE. And even more features. At the end of the day, the app just works really well and being cross platform is such a bonus. Highly recommended.